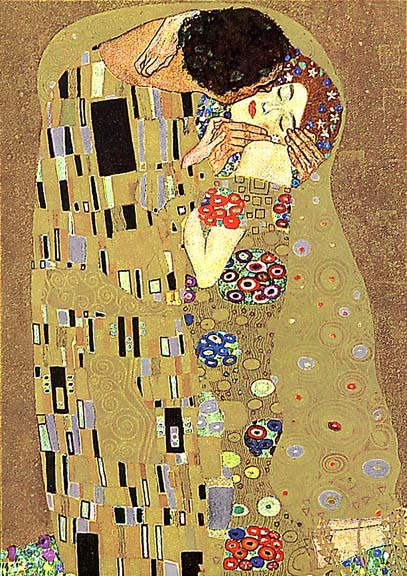 When he painted The Kiss, Klimt was 45 years old and still lived at home with his mother and two unmarried sisters. However, behind the respectable facade he was a man with a ferocious sexual appetite. Klimt fathered at least three illegitimate children and probably many more. He was obsessed by women and he had a fixation with redheads. It is no surprise that the woman in The Kiss has red hair.